For International return instructions contact International. 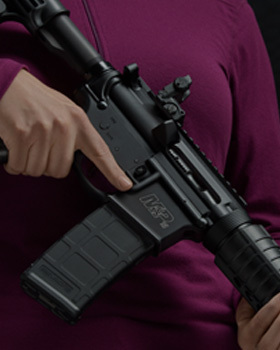 Should your Smith & Wesson firearm require service, it should be returned to Smith & Wesson in the blue carrying case or a similarly secure container (Do not ship in a presentation case). It is not necessary to take the gun to a dealer for shipment. However, before shipping your firearm, call or e-mail our Customer Support Dept. for authorization and shipping instructions. A return label will be sent to you for shipping your firearm back to us. 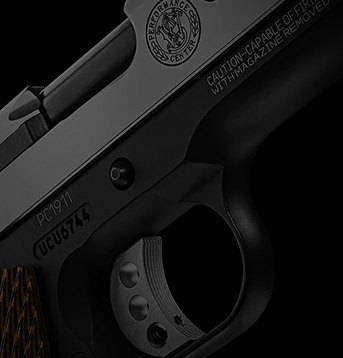 Before shipping your handgun, ensure that the firearm is unloaded and packaged securely. Do NOT ship any ammunition. The package must NOT bear any markings which indicate the identity of the contents. Enclose a letter which includes your full name and address (no P.O. Boxes, please), daytime telephone number, e-mail address, the serial number of the firearm, and details of the problem experienced (stating the brand and type of ammunition used when the problem occurred) or work desired. Record the serial number before shipping, in case you wish to check on the repair status of your firearm. BEFORE SHIPPING Please CALL OR EMAIL us using the information at the top of the page. When shipping a firearm, it is most important that you comply with federal, state, and local laws and regulations. The following guidelines are meant to help, but you must seek assistance from the appropriate authorities if necessary. Check chambers to ensure that they are unloaded. Do not ship ammunition. Do not attempt to ship a handgun via US Postal Service; only federally licensed dealers may ship a firearm by US Postal Service. Since we cannot assume responsibility for custom parts and accessories, such as stocks, special sights, or holsters, please remove these items before returning your firearm. Warranty repair work will begin upon receipt and examination of the firearm. In the case of repairs or work not covered by the warranty, a quotation covering the cost of the work plus round trip transportation charges will be sent to you. Repairs or modification will begin upon receipt of payment.